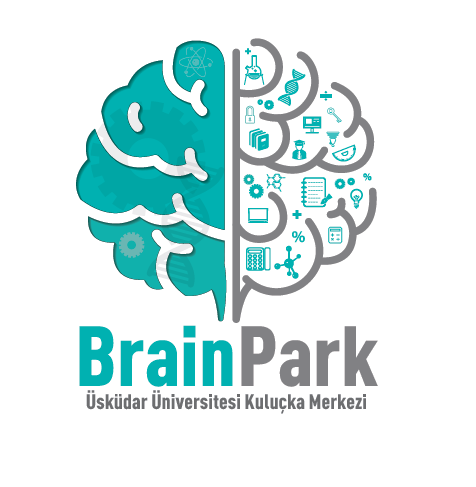 Üsküdar University has implemented a brand new company called BrainPark, which fully supports entrepreneurship and merchandizing. The main aims of the BrainPark are to encourage young entrepreneurs to start new companies, specify promising new ideas and pave the way for these ideas. BrainPark offers a wide range of possibilities to potential entrepreneurs, who don’t hold the financial stability to incorporate, rent an office and/or pay the billing expenses. Therefore the individual can directly focus on the project itself. BrainPark is a sub-company of Kuluçka Centre which has been established by Üsküdar University. BrainPark is located in TeknoPark, Gebze Organize Sanayi Area. The company provides direct support to initiatives that possess great potential to turn their ideas into commercial products. The applications can be submitted directly from www.brainpark.net website. After submitting your application, BrainPark team will evaluate and if necessary, receive reports from third party evaluators. The process for the accepted initiatives will start in Kuluçka Centre in GOSB TeknoPark. The entrepreneurs will have their offices in Kuluçka Centre and start their commercial activities with BrainPark’s partnership. Therefore the entrepreneurs will sustain from the financial advantages presented by the TeknoPark and utilize from the trainings and consultancy devoted by the Kuluçka Centre. Üsküdar University TTO ve Parge Coordinator, Associate Prof. Dr. Barış Metin states that “BrainPark shows great support to the entrepreneurs who are afraid of the outstanding investment costs. The uttermost significant opportunity might be the financial support given to the young entrepreneurs who were ready to give up their dreams due to lack of financial investments. By courtesy of the BrainPark, the young entrepreneurs can directly center upon the projects and achieve success as they will not have to deal with stages such as incorporation, rent an office and/or billing. Obtaining this kind of comfort is the most crucial need for the entrepreneurs in the first step of the way”. What are the endorsements of the Kuluçka Centre? When the entrepreneurs succeed in the fundamental elimination process, they will receive an office in Kuluçka Centre and start their incorporation stages. The entrepreneurs will benefit fully from the facilities given by the TeknoPark which is established to second Turkey’s R & D (Research and Development) potential and the ability to generate technology. Please also note that the entrepreneurs will receive consultation services on application to incorporate, billing and reporting. The project support is funded by TÜBİTAK and other funds through receiving venture funds. The entrepreneurs will receive specified consultations from mentors who will be selected from either the Üsküdar University faculty members or from private sector whom are well experienced in all stages of incorporation. Üsküdar University students, graduates and faculty members can utilize from all activities served by the Kuluçka Centre. Prof. Dr. Nevzat Tarhan, Furkan Tarhan, Selçuk Uysaler, Emine Dönmez, Prof. Dr. Muhsin Konuk, Halide İncekara and Assistant Prof. Dr. Barış Metin from the Üsküdar University Kuluçka Centre BrainPark board of directors are willing to share their know-hows and experiences and ensure an environment that will contribute to their development and improvement. Technology based production and entrepreneurship in corporation with the industry & universities are supported as well as creating Teknoparks which are established to create possible settings for small and medium sized companies to adopt new and advanced technologies. A great importance is also given to promote projects that produce and use advanced technologies, give added value to the Turkish economy through employment and take a significant part in the projects that increase the global competitive capacity as exporters. Please visit www.brainpark.net to have more information on Üsküdar University Kuluçka Centre BrainPark. Your applications will be accepted through the site.